I love these Personalized Maggie Wallets for ONLY $8.99 (Retail $19.99)! 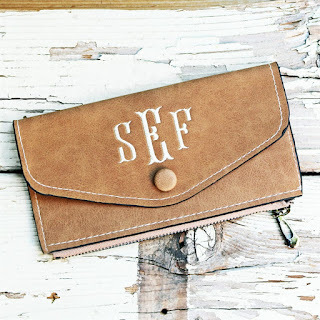 Need a fabulous monogram wallet to go with your fabulous purse or tote?! This wallet is just the right size. Holds up to 6 cards and has a place for cash and change!